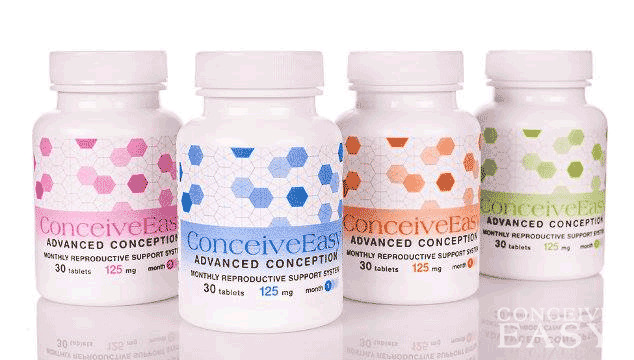 What Does Fertibella ConceiveEasy Do? The natural ingredients that Fertibella is made from balance or even eliminate the usual problems affecting conception, especially those related to internal causes, like the deficiency of progesterone, irregularity of menstrual cycles, poor quality cervical mucus, or the imbalances of the hormonal system. Few and mild side effects were noticed in a few of the patients, including headaches, light fatigue, bad mood, and irritability. In most of the cases, these symptoms disappeared after the regulation of the dosage. The TTC Starter Kit contains Month 1 & 2 of the Fertibella ConceiveEasy fertility supplements, for a full 60 day supply, as well as bonus gifts of 20 pregnancy or ovulation tests, and a BBT thermometer. All of the tools to get pregnant are there at your fingertips, delivered direct to your door, to assist you in boosting your fertility, tracking your temperatures and helping you pinpoint the day you ovulate. At this time, the entire TTC Kit is available free to try for 30 days, just for the small price of shipping and handling. Try it today and pretty soon maybe you’ll have that positive pregnancy test you’ve been waiting for! Here is how some of the ingredients of Fertibella work. Angelica sinensis is an ancient plant used to treat hormonal imbalances which have a negative effect on the menstrual cycles and cause the disappearance of ovulation. Numerous tests made in the UK and US showed the link between the plant and the effects of Fertibella, like improving the secretion of progesterone and the balance of the menstrual cycle. More than 55% of the women to consume angelica sinensis extracts presented an elimination of these infertility symptoms. Another component of Fertibella ConceiveEasy is viburnum opulus, one of the oldest cures for infertility. For millennia it has been a viable treatment for women who were not able to remain pregnant and, today, it is one of the many endangered plants. It has a positive and direct effect on the ovaries, at the same time regulating the ovulation. Folic Acid , in a concentration of over 80%, is a powerful element in Fertibella’s formula, aiming to help with the regeneration of the reproductive organs and to create the premises for the successful installation and evolution of pregnancy. The other ingredients of Fertibella play an important part in strengthening the immune system, reducing stress, supporting the healthy development of the embryo, detoxifying the blood, reducing PMS or constantly regulating cholesterol.